Studies show that nearly 80% of Americans have dental insurance. Unfortunately, only 2.8% of that population will max-out their coverage by the end of the year. That means there is money being left on the table, but can anything be done about it? Your dentist in Mount Pleasant says there is a simple solution for getting more from your dental insurance. Learn about it as you continue reading! Dental insurance typically covers procedures that have a direct impact on your oral health. Thus, cosmetic treatments and some forms of orthodontic care require you to pay completely out-of-pocket. Preventive Care – Examinations, cleanings and X-Rays are some of the functions of a preventive care visit. Most insurance companies will cover 80-100% of the costs of these appointments. Basic Care – If you need a root canal or a cavity filled, it is considered to be basic care. Your out-of-pocket costs will range from 20-40% of the total bill. Major Care – Procedures like the placement of a dental crown, a bridge or dentures, are considered to be major care and can leave you with up to a 50% copay. The most economical route for maintaining your oral health is to regularly attend preventive care visits. These semi-annual appointments provide a way to both prevent and nip problems in the bud before they can develop into more serious issues. 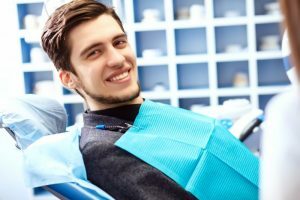 Along with receiving an expert examination and cleaning, you’ll be able to talk to both your dental hygienist and dentist to learn ways to better care for your mouth, teeth and gums. Additionally, you’ll ease some of the pressure on your wallet by preventing costly dental procedures down the road. What Happens if You Don’t Use Your Coverage? Failing to attend both six-month visits to your dentist leaves you vulnerable to more oral health issues, but it also means the monthly premium you pay to maintain coverage will be partially wasted. Even if you attend your first appointment near the end of the year, it’s better than nothing. It sets a positive new habit that you can carry into the next 12 months, and it also leaves you with the peace-of-mind of knowing what the condition of your oral health is. So before the new year gets here and your dental insurance renews, you have an opportunity to take a proactive stance for your oral health. To schedule your first visit and get more out of your dental insurance, reach out to your local dentist today! Dr. Robert C. Sikes earned his DDS degree from Baylor College of Dentistry. He has since gone on to notch over 30 years of experience. That doesn’t stop him, though, from striving to improve his skills and learn more, which is why he takes continuing education courses. Dr. Sikes provides patients with the absolute best in dental care at his private practice, and he can be reached for more information through his website.